For over fifty years Erodex has been providing a fast, first-class design service to industry and the aerospace sector. The Erodex Group can offer a full project management, procurement, build and certification service to make Erodex a one-stop-shop for all of your design, tooling and EDM electrode needs. All aspects of any project are simultaneously designed by one team to provide a streamlined process, optimum technical solutions and shorter project lead times. It is our goal to build partnerships that make us an extension of our customer's own design teams. Erodex has vast experience in the design and manufacture of tooling for all stages of component processing, fixturing and EDM electrode production. We offer a full project management service for any new design project, giving the benefit of a single point of contact for all tooling and electrodes, optimal co-engineered parts, shorter project lead times and cost and risk reduction. 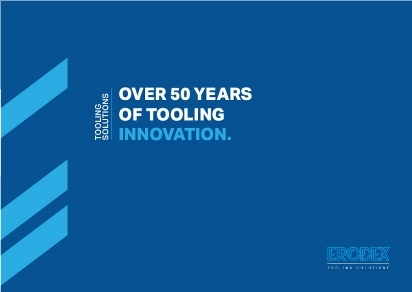 For a more detailed overview of Erodex Tooling Solutions, please view our online company profile.